Gold is glorious. He who has Gold has power. 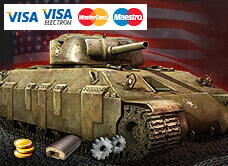 Use Gold to purchase Premium time and Premium vehicles, or to convert Free XP! For a limited time only, you can purchase special Gold bundles with big bonuses thrown in just for you! This offer is exclusively for Premium Shop customers who pay using their credit card (VISA, VISA ELECTRON, MasterCard, and Maestro cards only). If you’ve been thinking of getting Gold for a new Premium vehicle or to retrain your crew, this is an excellent opportunity. 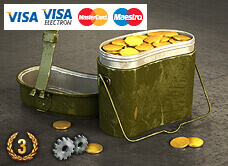 These packages will be made available on the premium shop from 01 October (14:00 UTC +8) to 05 October (14:00 UTC +8). 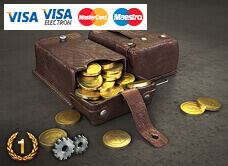 Roll out with the free bonuses today!